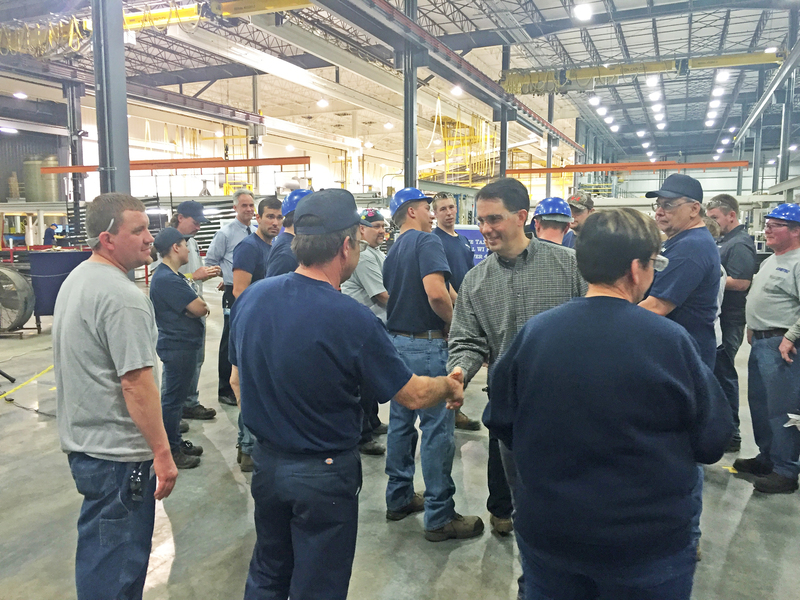 Wisconsin Governor Scott Walker visited Linetec on April 18 to meet with the company's leadership and to see its expanded facility in Wausau, Wisconsin. As one of the largest architectural finishing companies in the U.S., Linetec added a third anodize line and associated improvements in Dec. 2015. Linetec's facility expansion increased its existing capacity and capabilities by more than 50 percent. "Linetec is an example of a company growing and expanding in our state with the help of a partnership between the state of Wisconsin and the city of Wausau," said Walker. Linetec's president Rick Marshall hosted Walker on a tour of the company's campus, which now spans more than 750,000 square feet and provides room to further enhance production flow throughout the facilities. Joining Walker and Marshall on the tour were Wausau Mayor Jim Tipple, Wausau mayor-elect Robert Mielke, plus representatives from the Wausau City Council, Wisconsin Manufacturers & Commerce and the Wisconsin Economic Development Corporation (WEDC), and Linetec's associates. "Our most recent 180,000-square-foot expansion represents an estimated $15 million investment. The tax credits available through the WEDC and the Tax Incremental Financing grants available in Wisconsin contributed to our decision and ability to grow here in Wausau," noted Marshall. "In total, over the past five years, we have put $4.7 billion worth of tax relief into the hands of the hard-working people and employers of this state," said Walker. Marshall also expressed his appreciation for all involved in the expansion. "We are thankful for our hard-working and talented employees; for the financial stability and strength of our parent company, Apogee Enterprises; for the support of our community and suppliers; and for our strong, long-lasting customer relationships that are at the core of Linetec's success." This addition supports Linetec's anodize customers across North America with short and reliable lead times, according to Marshall. "Our finishing capabilities have helped attract other new companies to the area, both suppliers and customers, such as Polywood Fabrication and Southern Stretch Forming," he added. "Linetec has twice the anodizing capacity as any other anodizer in the U.S. under one roof. There's no other place in the country that has three anodizing lines of this size and capability. Our anodize consistency is truly the best in the world," praised Marshall. New finishing capabilities are another associated benefit. A new, proprietary anodize color and a new powder coat option are expected to be introduced in the next month. 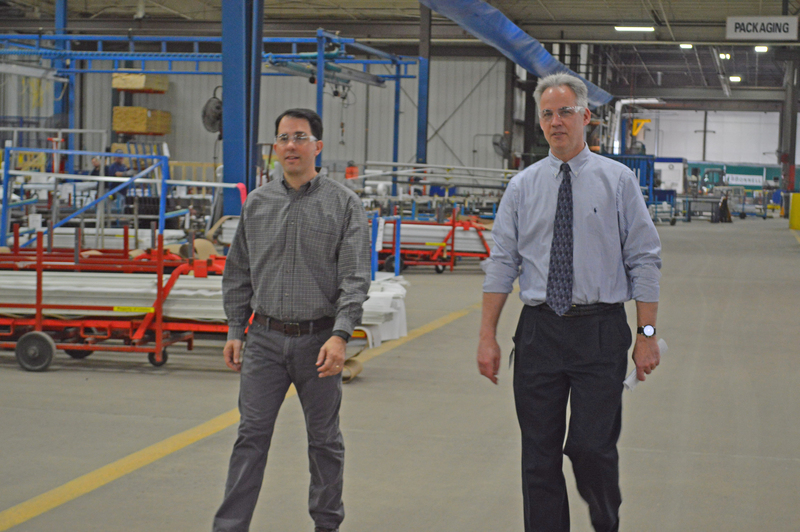 Linetec's growth also brings employment opportunities to the city of Wausau. "We have added nearly 200 jobs in the last five years. Almost half of those additions have been in the last 12 months and related to this expansion. We make good hires and keep them," stated Marshall. "The jobs created have been good paying jobs. Our starting rates are $15 per hour plus premiums and bonuses. While the labor market is tight, Linetec has success in finding qualified employees in the area. We are seeking to fill 40 recently added positions and more will be added through the year."